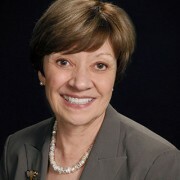 California Department of Food and Agriculture Secretary Karen Ross will be the keynote speaker at the California Plant and Soil Conference at 9:30 a.m. Tuesday, Feb. 6. The conference will be hosted by the American Society of Agronomy at the Doubletree Hotel and Conference Center (2233 Ventura St.). Ross will open the conference with a presentation about how the state will move forward in the next decade considering droughts, environmental restrictions and increased reporting, certification and compliance activities. Other speakers on Tuesday will present on nutrient management, emerging crop management technologies and pest management. A final afternoon session will be presented at 4:20 p.m. by Fresno State entomologist Dr. Jacob Wenger in Salon A. Wenger will present on a new diagnostic test for Lepidopteran insects that feed on almond and pistachio trees. Plant science students from Fresno State and other state universities will entertain questions and feedback in a research poster competition at 5 p.m. in Salon D. Academic and research presentations will resume at 8:30 a.m. Wednesday, Feb. 7, on soil biology and health, sustainable use of water, applied crop management and farm energy management. Sarge Green, interim director for Fresno State’s Center for Irrigation, will moderate a sustainable use of water roundtable at 8:30 a.m. Center staff members John Weddington and Bill Green will present on irrigation topics at 10:30 a.m. and 10:55 a.m., respectively. INFO: Visit http://bit.ly/FS-JC-18-plant-soil-conference or contact Geoff Thurner at gthurner@csufresno.edu or 559.977.3969.